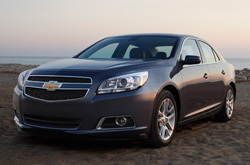 2013 Chevrolet Malibu reviews from Midway Chevrolet can be found underneath the video below. There is a reason Midway Chevrolet is the dominant Chevrolet dealer in Phoenix. We provide you with Malibu reviews by the best writers in Phoenix. 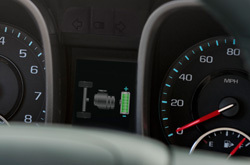 To make versed decisions when it comes to your next Chevrolet Malibu purchase, don't guess! Each article is overloaded with information and Malibu features in way that's easy to understand. Does the Malibu have your name on it? Read more and find out! When considering the 2013 Chevrolet Malibu side-by-side with the 2013 Nissan Altima, Honda Accord, Mazda6, Ford Fusion and the Kia Optima, and you can see that the Malibu transcends those autos in many parts. Look through the hightlights below. Midway Chevrolet auto repair service in Phoenix is only a click away! Your Chevrolet deserves to be treated properly - that means Chevrolet factory- trained technicians, genuine 2013 Chevrolet Malibu parts, and the sense of contentment that comes from a 12-month service work warranty. If you forget about getting dependable repair work, your Chevrolet Malibu's vitality might suffer, so take it to the skilled mechanics at Midway Chevrolet. We can manage a situation as manageable as an oil change, or handle intricate car service and repairs like Chevrolet timing belt replacements, transmission rebuilds, and strut and shock repairs. And you can reckon on getting economical prices on all services, as well as exemplary service every time you stop by Midway Chevrolet. Get tremendous savings - before you stop by our repair shop, bring a coupon. Click the link below!